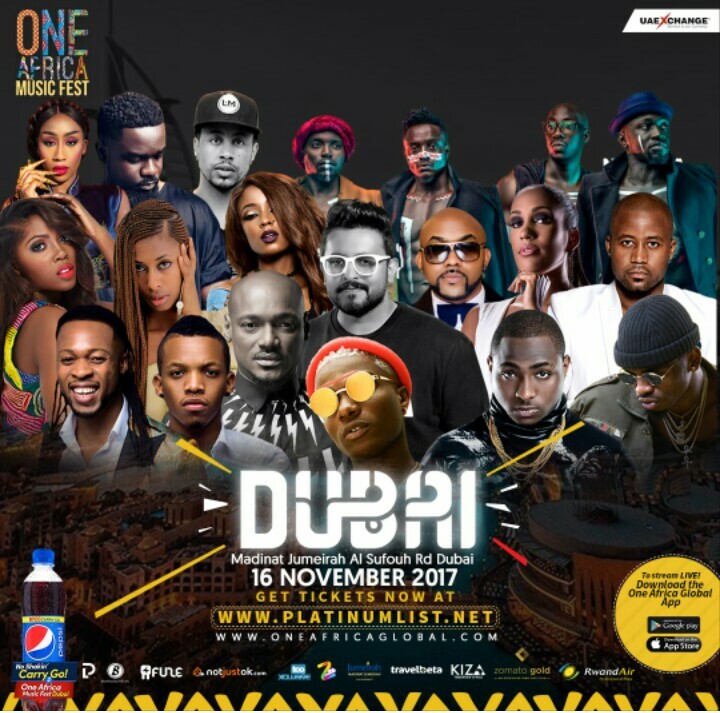 Watch your favorite Artist perform LIVE from Dubai at the One Africa Music Fest concert!!! Download the One Africa Global App NOW! With just 1 day to go to the most anticipated Afrobeats concert!!! 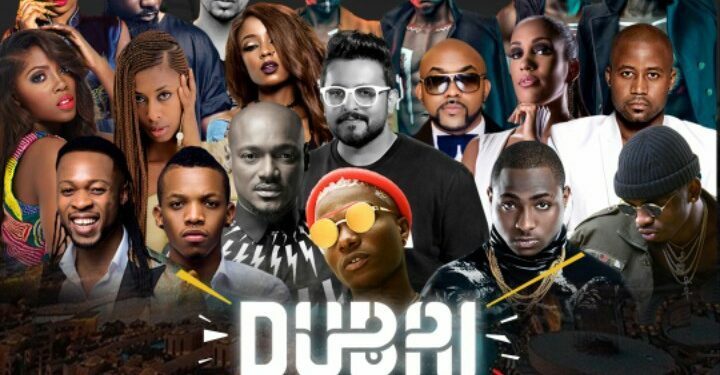 Watch your Favorite Artists perform LIVE in Dubai at the ONE AFRICA MUSIC FEST concert! Not in Dubai? The Biggest Afrobeats concert is now right at your finger tips, stream the concert live and experience the thrilling and exciting performances from WizKid, DavidO, 2Baba, Banky W, Sarkodie, Tekno, Tiwa Savage, Flavour, Diamond Platnumz, Vanessa Mdee, Sauti Sol, Betty G, Lij Michael, Cassper Nyovest, Nsoki, Adel Ebrahim and many other artistes!!! Time: Doors open at 7pm, Show starts at 9pm prompt! http://bit.ly/1AfricaG and all Platinumlist ticket outlets; All UAE Exchange locations. This is guaranteed to be the experience of a life time. Do not be told about this event! Experience it!